Whether we are talking electronic devices, precision mechanical tools, automobiles or production plants – mechanical engineering is pivotal to nearly everything we produce in our modern industrial society. Mechanical engineers produce construction drawings, develop prototypes for machines and equipment, plan, manage and optimise production and by doing so sustain technical progress. 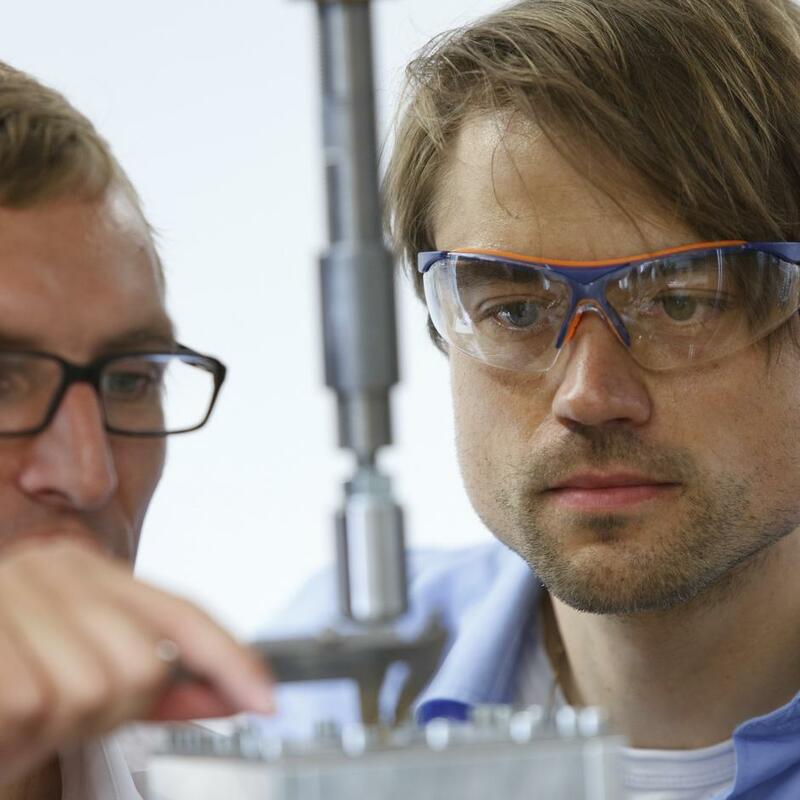 Engineering training in Rosenheim combines the basics of mechanical engineering with the fields of electrical engineering, computer science and business administration and is particularly practical thanks to the many projects and state-of-the-art laboratories involved. Information on preparatory work experience, that usually needs to be completed before starting this degree programme. Mechanical engineering is a vocational field offering very good job opportunities and interesting prospects. According to the Association of German Engineers (VDI) there were 67,800 positions to be filled in engineering professions at the start of 2013, and this number is rising. As mechanical engineers work in almost all branches of industry, numerous areas of employment become accessible after graduation – including, above all, those of planning, construction and production, environment management and energy management.